For a lot of gamers who were entering the then newly common world of 3D console gaming, if you weren’t an N64 gamer, you were probably a PSX (Playstation 1) gamer. 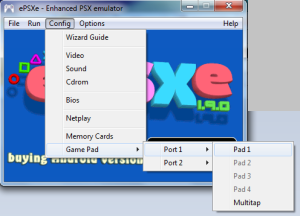 In this guide, we’ll show you the basics how you can play Playstation 1 games on your computer using the emulator ePSXe. Unlike a lot of other consoles from this era of gaming and before, PSX emulation involves using CD images instead of ROM images. This is simply because Playstation 1 games came on CDs instead of the traditional game cartridge. The unfortunate part about emulation the Playstation 1 is the fact that the emulation process is simply a case of “some assembly required” with a complexity comparable to 16 bit PC/DOS emulation. 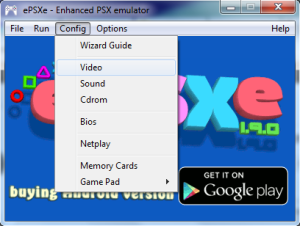 In this first part of our guide, we’ll show you how the basics of PSX emulation and build up to more complex scenario’s in subsequent guides. The first thing we need is the emulator. This can be found on the ePSXe official download page. The next thing you need to do is find a convenient place on your hard drive where you can find your PSX games. I recommend creating a folder for all of your PSX needs in that location and opening up that new folder. 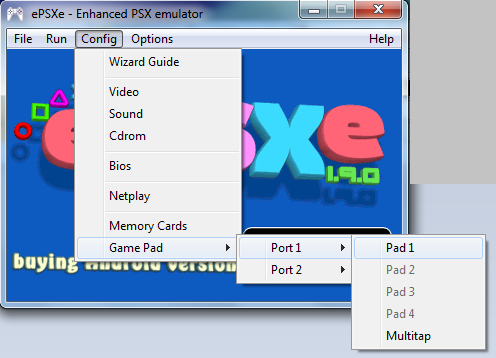 Next, create a folder for the ePSXe emulator. In addition to this, create a folder for all of your CD images next to the emulator folder. Put all of your CD images in that folder. Next, open up your emulator folder. Extract all of the files from the ZIP archive you downloaded into this folder. This emulator does not require installation, but it does require some preliminary configuration when you first open it up. Before we open our emulator, it is recommended that you track down the Playstation 1 bios files. These files do not come with the emulator nor can we discuss how to obtain these files. Still, these files are not hard to find and, ideally, you want to find a complete set bundled together. When you have found these BIOS files, put them in the bios directory located in your emulators directory. When done, the next thing we need to find is a GPU plugin. The most recommended GPU plug-in I’ve seen is Pete’s GPU plugin. This can be located here. Download the GPU plug-in most suitable for your operating system. When you finish downloading, extract the contents of the archive into the plugins directory of your emulator. 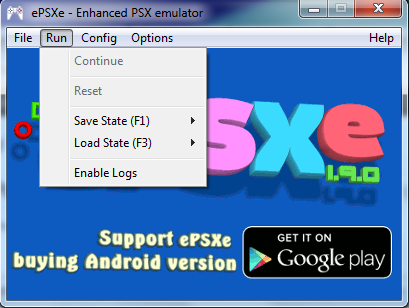 When you have finished obtaining the GPU plugin and the BIOS files, you can now run the ePSXe emulator by double-clicking on the epsxe.exe file. You will be prompted to use a Wizard. It is recommended that you at least make sure your settings are in order when going through the wizard. Very little configuration is really required. Just use a recommended BIOS file (the wizard will note which one is recommended). 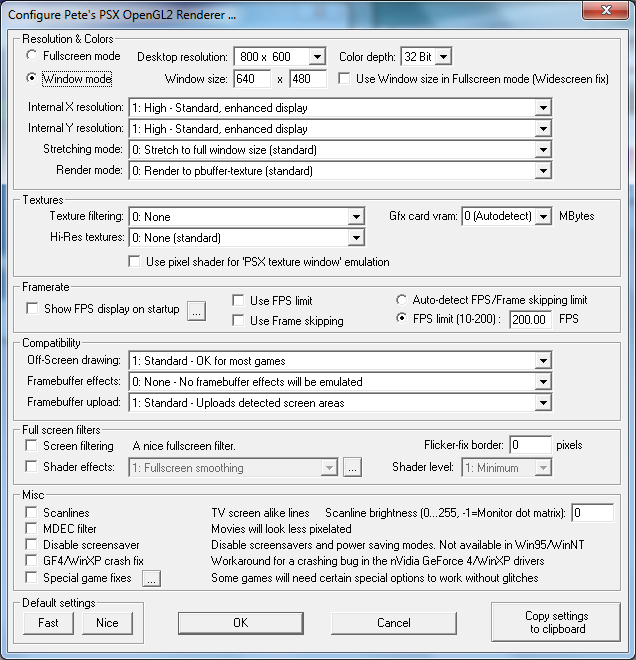 Select the Pete’s GPU plugin that you’ve downloaded and do whatever other configuration you feel is necessary (I personally ensure that the emulator plays in windowed mode, but that’s just personal preference. To change any of the controls, you can simply click on the little grey boxes and typing in the new key on your keyboard. 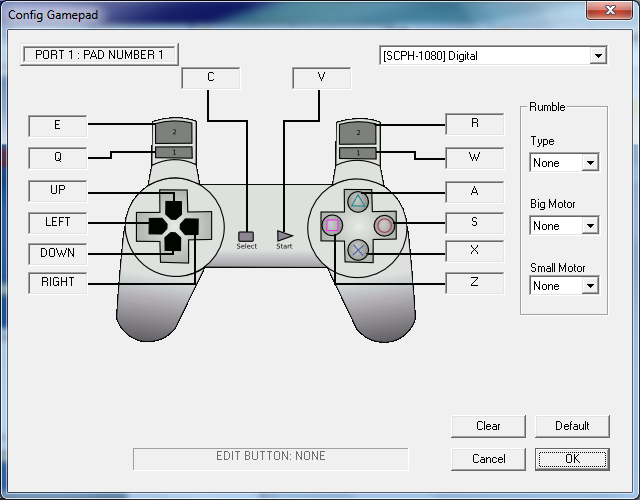 When you have finished configuring your digital controller, simply click on the OK button. We should note that controllers cannot be configured while a game is either running or paused. This is an unfortunate aspect of this emulator, but once you have a half decent set-up, this becomes less and less of an issue. So far, the only thing I’ve toyed with is switching between full-screen mode and windowed mode. I prefer windowed mode so that I have fast access to other applications if need be. Full screen mode has the benefits of removing distractions and utilizing the full screen space of your monitor just for the game. Again, personal preferences. If you need to adjust these video settings for any particular game, that’s how you access these settings. Before we load our first game, there is a few things we need to mention. For one, the game has to be in a very common disc image format. Formats that run fine are the ISO format or the CUE/BIN file. When opening an image, the emulator will tell you what format it can read. If it’s in a CUE/BIN format, load the .cue file. For another, when you run a game, it will hide the current window and open a new window just for the game itself. To get out of the game, you must hit “Esc” on your keyboard (typically the furthest top left key on your keyboard). Additionally, the method I’m about to show you only really fully works for games that are in a single disc format. For a multi-disc format game, use this guide to run them. If you use this method on multi-disc games, you’ll be unable to switch between discs in the game. In the pop-up browser window, browse to the CD image directory you created and put all of your image files into. Then, click on the game image of your choice and click on “Open”. Your game will then start. Simply clicking on the “X” button may exit out of the emulator, but leaves the emulators process in your task manager running. 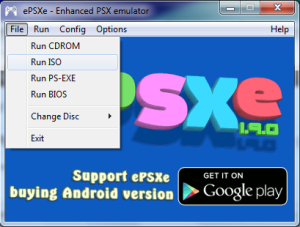 This is a problem should you decide to run the ePSXe emulator again. The only way to kill the process otherwise is to either press “CTRL+Alt+Delete”, opening up your task manager, clicking on the “Processes” tab, finding the ePSXe process and clicking on the “End Process” button or restarting your computer. The act of ending processes can be risky, so you have to use the “exit” feature in the emulator to make a clean exit. While this is a great start for emulating PSX games, this will undoubtedly lead to further emulation questions. We will be covering more advanced topics in future guides, so stay tuned. The CD image I got is in this weird ECM format, what do I do? The file must be first decompressed. Follow this guide to do that. Whenever I play a game that uses more than one disc, I can’t seem to switch to the next disc in the emulator, what gives? You’ll need extra software to run multi-disc games. Use this guide to run these games properly. The CD image contains different tracks and has a whole bunch of .ape files. Can the game still run properly? Unlikely. You need to decompress and convert the .ape files (and possibly add a .cue file as well) before the game has a chance to run properly. Please use this guide to do this. The CD Image simply has a .bin file. Can it still run properly? Probably not. It may be playable, but it’s possible that the game won’t run as accurately. Try downloading the Cue’s and SBI’s file from here to get the missing .cue file for the game in question. The copy I have of [insert title here] doesn’t run properly. It simply starts off in black/hangs on a loading screen/crashes at [insert part of the game here]. I’ve looked up the compatibility list of this emulator and it says that it’s 100% compatible! What am I doing wrong? I found that the compatibility lists are a bit misleading. If you have your GPU settings (Pete’s plugins) set to the “Nice” defaults and the game still doesn’t work, you might need to either find another emulator or get a different rip of the game. 100% compatible, I found, simply means that someone somewhere has a copy of the game and managed to get it running through ePSXe. It doesn’t necessarily mean your copy of the game will work properly (or even at all). If the game doesn’t load when you load the .cue file, try loading the .bin file instead (if it’s in that format. Sometimes, that works). You could spend hours using a search engine to troubleshoot the problem, or hours trying different plug-ins to get the game to work, but sometimes, it isn’t worth killing yourself off trying to get it to work. Some games, even though someone got it to work, might not really work on this emulator after all. Sorry. On game I have has multiple .bin files, how do I play these? Sounds like you have a multitrack game (which I discuss at length here: http://www.freezenet.ca/guides/compatibility-and-emulation/how-to-play-multi-track-psx-games-ape-files-epsxe/ ). Try playing the file that is labelled something like “track 1” as that’s usually the data files. Alternatively (since sometimes these types of games can be finicky), you can try the same game, only from a different region. Hope that helps. If Windows 8 has the same kind of file restrictions as Windows 7 with regards to write permissions in the programs folder, then try uninstalling the emulator from that folder (if you did this) and create your own folder elsewhere. This is a very common problem with emulation in general because you need to, for example, save your controller mapping before you can even start anything. Program files interfere with operations like this. When I downloaded it, the emulator always showed it needed bios file. After I downloaded it, I went to config>bios>choose the directory. Nothing happened, then I choose the RUN CDROM, a command-prompt widow appears and the whole screen went back as if opening. Scared, I pushed the ‘ESC’ button and it became normal. So, again, how do I make this thing work? Bios files are required when running a Playstation emulator. You can get that file from the physical console itself. The bios files are also copyrighted, so they cannot be legally bundled into the emulator itself nor downloaded freely. Without the bios files, the emulator cannot play any Playstation game. How can I play a ps1 cd thru cd rom? You can simply point the emulator to your CD rom drive in a similar manner for mounted discs. Unfortunately, as with every method of playing a PS1 game through an emulator, there’s no guarantee that it’ll work. So, you may need to look up how to play specific games elsewhere if it doesn’t work correctly with that method. All i get is a blank screen what should I do? I got all the configures do I have the wrong kind of iso? When testing this myself, there are two possible reasons for the blank screen: lack of BIOS file or a bad ISO rip (more likely). If a blank screen seems to occur no matter what the ISO, it may not be the ISO. If it happens only for particular games, then it’s probably the ISO. A great workaround for trying to get a game termed “compatible” is to try a different region. If the game you have is a “(U)” region (US), then try the “(E)” (Europe) region version instead to see if the problem persists. I run into blank screen problems most consistently when I have to work with a game that has multiple tracks unfortunately. Hope that’s helpful. You mean you have an actual controller hooked up or you’re trying to map your keyboard? He just said a controller. I may have the same controller too! The logitech FE10 looks like a mix between and Xbox and PS controller but is USB so it is a PC controller and often games will see it as *Game Pad* when selecting a list of controllers. He means he has a game pad. I have the same Logitech one too and it is a mix between PS and Xbox styles. 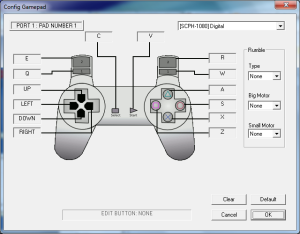 Most PC games view it as a game pad when setting it up and you map your buttons to it including the *triggers*. My Railworks Train Simulator (steam) even sees the controller on it and I can control some of the functions such as air brakes/steam regulator or throttle. BTW: Why is this site against wave cable? When I use any other email but wave cable my comment works but wave cable makes my comments vanish on most sites. Seems that the spam filters think that domain is simply spam. Was able to retrieve it and allow it to go through. Hey, does the PSx emulator only support Play Station 1 games or can I use it for PS3 games too? ePSXe only supports PS1 games. There are PS3 emulators in existence, however, they are still in their relatively early stages of development and don’t really support very much gameplay at this stage. Huh… of all the errors I encountered, I haven’t run into that one in particular. I did a quick Google search and found this thread: http://ngemu.com/threads/missing-render-texture-extension.48563/ Maybe that’ll help? From the sounds of things, it’s not an uncommon error for some users, just not an error I’ve personally seen, so it’s a bit more difficult for me to diagnose unfortunately. Hmm, maybe redownloading and re-installing the plugin might do the trick? The emulator seems to think that it’s missing for some reason. I have speedlink joystick, i have configured it in configure pad menu and all is OK until I open some game, then my joystick doesnt work… I am assuming that the problem is emulator is just emulating picture and my joystick is not reconigzed it… Can someone please help me,what should I do?? Sorry for bad english..
My understanding of these errors is that it is likely graphics card related (namely it’s often the result of a very old graphics card). 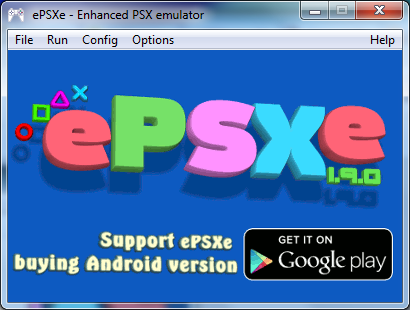 One solution I’ve heard is that if you are using Pete’s OpenGL2 PSX GPU plugin (v2.9), you might want to try P.E.Op.S./Pete’s OpenGL Windows PSX GPU (v1.78). This, of course, assumes you got the emulator through official channels (pre-packed stuff might contain outdated plugins) and you are running Windows. I configured it precisely how you said. Got a cue and bin file for my game. And yet every single time, for each game, I just get ePSXe.exe has stopped working. And it crashes. I have a problem with my rom for [title removed]. I’m using psX v 1.13. Whenever I pause the game, it keeps saying “Please Reinsert Controller.” When I use a memory card, the game does not respond to the button presses(I’m using a keyboard). What should I do? Unfortunately, I have not done a lot of testing with psX. According to this compatibility list, the game hasn’t even been fully tested yet by that community. I get an error when I try to run the bios. It says “bios not found,” even though I can still play games and use save states. Any suggestions? Thanks for this guide. followed the steps exactly and it worked like a charm. can you just send me a working copy and like 10 game I want i’ll pay monies! Sorry, Freezenet is not a video game store.